Minister for Training and Skills Development Shannon Fentiman announced nominations for the 2019 Queensland Training Awards open today. “These awards celebrate and acknowledge the hard work of Queensland’s top training achievers,” Ms Fentiman said. “The awards will also give some of Queensland’s winners the chance to compete at a national level and be recognised at the Australian Training Awards. “Through these annual awards we continue to recognise individuals and organisations who strive for success, best practice and innovation in training. “I encourage eligible apprentices, trainees, VET students, teachers and trainers, employers, training providers and community-based organisations to take part,” Ms Fentiman said. Tash Fee, winner of the VET Teacher or Trainer of the Year Award in 2012, said she could put her hand on her heart and say that winning the award elevated her professional profile to an international level. “Since winning my award, I have been approached to deliver training in Africa, Egypt, Malaysia, Singapore, Bangkok and Papua New Guinea in a variety of topics, from mining and construction to fire and emergency response, as well as general corporate training,” Ms Fee said. “I have been invited to be a guest speaker at numerous industry, trade and careers events. “I won the Queensland Resource Council Gender Diversity Champion Award in 2013 and have been a finalist in the Australia Day Awards (Citizen of the Year category), Australian Institute of Management (AIM) Awards, Telstra Business Women’s Awards, and in 2017 I was the seventh woman to be profiled in the Top 100 Women in Construction Industry. “There are so many dedicated students and teachers and trainers doing amazing work in the VET sector and their success stories should be shared and celebrated. Ms Fee said she would absolutely recommend nominating for the Queensland Training Awards to anyone who is passionate about the training they are undertaking or delivering to others. 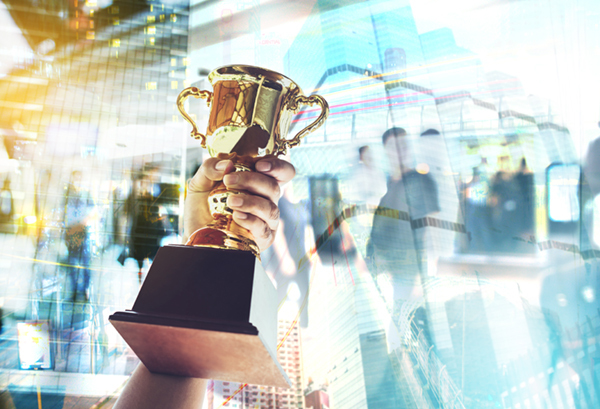 There are 14 categories in the Queensland Training Awards and winners of some categories will have the chance to vie for awards at a national level by competing at the Australian Training Awards in November next year. For a full list of award categories, nomination details and eligibility criteria for 2019, visit www.qta.qld.gov.au. Nominations close on Sunday 17 March 2019.